An apple a day! 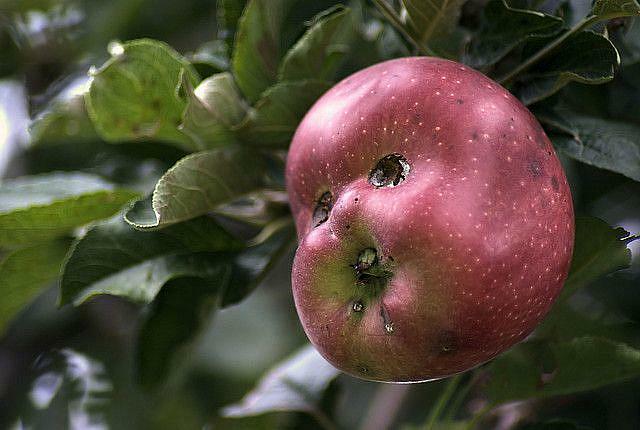 This smiling apple will certainly help keep the Doctor away! I found this little guy hanging off of my apple tree! Gotta tell you that it kinda creeps me out a little to think that an apple had been watching me! Photo was taken with a Sony A-200, no edits.